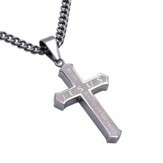 Stainless steel cross pendant with satin finish inlay center and high polish surrounding edges. Raised Scripture on front and back. 1.75" x 1.5" pendant on 24" stainless steel chain. 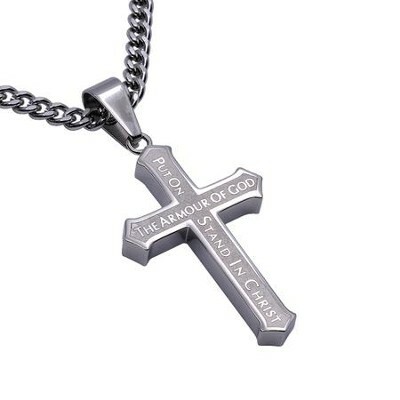 I'm the author/artist and I want to review Armor of God Inlay Cross Necklace.